A number of train companies serve Sheffield station, including East Midlands Trains, offering trains to/from Chesterfield, Derby, Leicester and London. Visit trains to and from Sheffield for more information or find out about Sheffield Train Station. Alternatively, if you would like assistance with your hotel booking you can contact Jessica, our dedicated hotel expert. Simply email jessica@hotelmap.com with your requirements, phone number and Special Reference Code M2XSC and she will get back to you to discuss your hotel options. 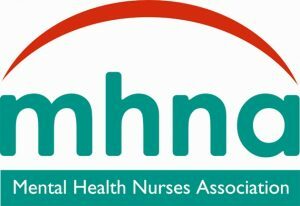 The MHNA exists to provide professional and clinical support for qualified and student mental health nurses. Its range of professional services, as well as the financial, legal and industrial backup of its parent trade union Unite, are unique and provides the representation and influence in the workplace that you need. Formed in 1989 by Practice Nurses who believed in the concept of Practice Nursing as a provision of specialist care in its own right. SPNA strives to promote the profession within primary care and negotiates on behalf of GPNs with leading influential bodies to continually promote a role essential for delivering patient care in the community. Nursing in Practice events are produced by Cogora Ltd. The views and opinions of the speakers are not necessarily those of Cogora Ltd or of our partners and sponsors. Pharmaceutical companies will be present at these events.